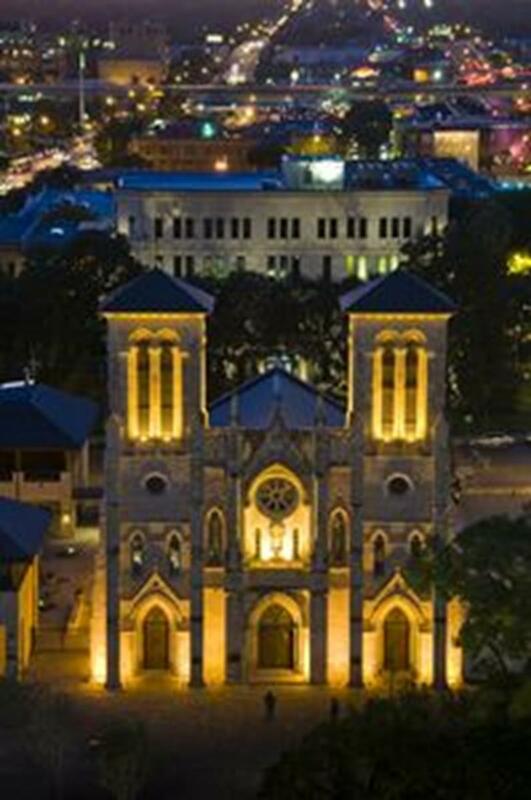 San Fernando Cathedral, the oldest church building in Texas, dates from the 1730s and played a role in the Battle of the Alamo. The Gothic-style cathedral has striking strained-glass windows and carved stones that will leave visitors speechless. The church hosts “El Mariachi Mass” every Sunday at noon. The English-language mass is accompanied by Spanish songs played by mariachi musicians. Aivaliotis suggests this is something unique to see in San Antonio; it attracts all denominations. The Little Church of La Villita houses an integral part of the history of San Antonio. Established in 1879 in what is considered San Antonio’s first neighborhood, the church remains active and offers non-denominational services. The church also hosts and supports the Starving Artist Gallery, held annually during the first weekend in April. The Basilica of the National Shrine of the Little Flower is full of religious history. The church was built and dedicated to Saint Therese of the Child Jesus, also known as “the Little Flower” of Jesus. The church is filled with extraordinary religious art, master craftsmanship and relics. The most striking piece of art is the painting of Ste. Therese, done by her blood-sister, Celine. This original painting has become the official image to represent Ste. Therese. San Antonio is most famous for the Alamo. Built in the 18th century, this former Spanish mission is a shrine to Texas’s struggle for independence from Mexico. Visit the outdoor Wall of History and the Long Barracks Museum to learn about the events that took place during the Texas Revolution. 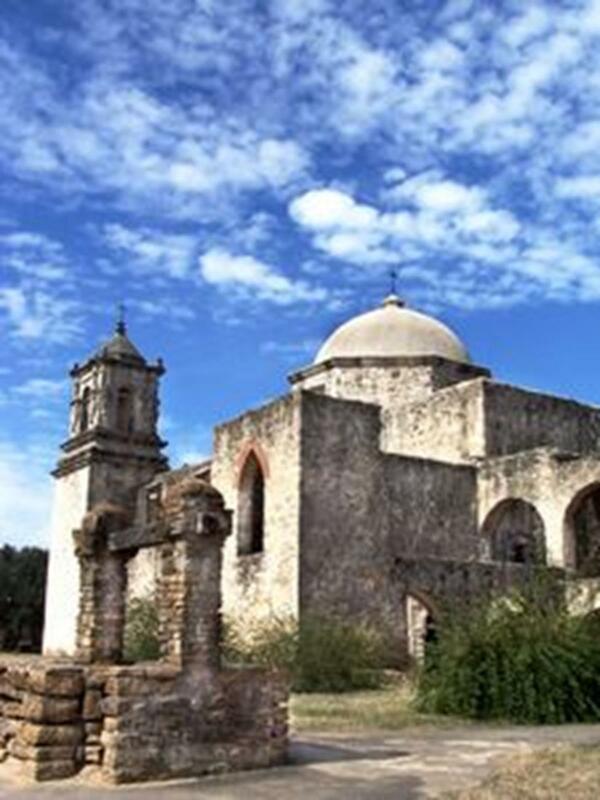 San Jose is one of the many beautiful missions founded in San Antonio. Courtesy of San Antonio Convention and Visitor’s Bureau. 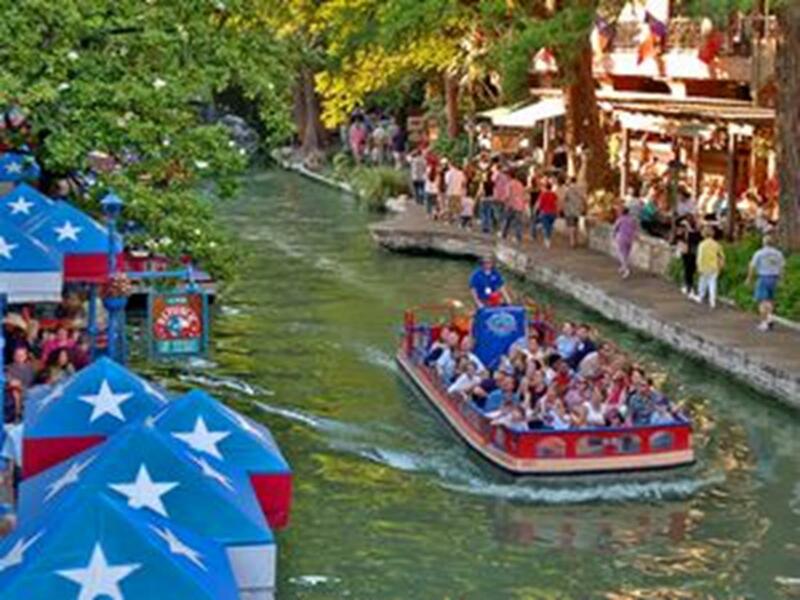 San Antonio’s famed River Walk, or “Paseo del Rio,” offers open-air cafés with music filling the air. Along the river visitors find museums, restaurants, shops, art galleries and many of the city’s festivals and celebrations. San Antonio is full of thrills. Six Flags Fiesta Texas has 11 rollercoasters and a water park. Other fun parks include San Antonio SeaWorld and Splashtown San Antonio. The San Antonio Zoo and Aquarium has captivating exhibits on Africa and the Amazon, including forests full of monkeys and apes. The 35-acre zoo houses more than 3,500 animals of 600 species. San Antonio also houses wild animals at the Wild Animal Orphanage and the Natural Bridge Wildlife Ranch. Board a Rio San Antonio Cruises boat to get a tour and overview of all the events, shopping andexcitement that takes place alongside the river. Rio Taxi offers taxi service along the River Walk. The city’s metro transit system, the VIA, is a streetcar that runs throughout the city and offers one-day passes to get on and off at sites such as the San Antonio Zoo and San Antonio Botanical Garden. Spend a day riding through San Antonio with San Antonio Bike Tours, catering to riders of abilities (beginner to advanced). The Passion Play has been an annual religious event for over 250 years. At the San Fernando Cathedral, the church portrays the story of Jesus Christ’s crucifixion on every Good Friday. 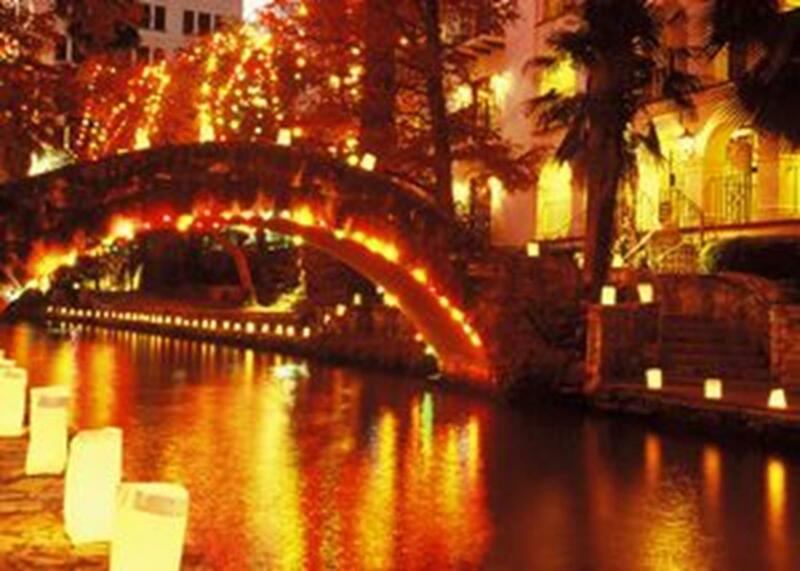 On the River Walk, the Fiesta de las Luminarias is a nine-night event held every December. More than 7,000 luminarias (candle-lit, sand filled bags) light up the river as a pathway for the Holy Family to search for shelter on the night before Jesus’ birth. Fiesta San Antonio in April is an 11-day celebration of San Antonio’s proud heritage. The event includes carnivals, ethnic foods, art exhibits and parades on both the River Walk and in the city’s streets. Get a taste of Hispanic culture at Dia de los Muertos (Day of the Dead) on Nov. 2. This is a traditional and contemporary festival full of honoring and celebrating ancestral remembrance and harvest season rituals that began in Central Mexican indigenous cultures that is celebrated from mid-October through the beginning of November. Take a glimpse into the lives of cowboys at the San Antonio Stock Show and Rodeo. It is held in February at the AT&T Center and Freeman Coliseum Grounds. Faith-based travel groups can immerse themselves in the multicultural fabric of this historic city founded on religious fundamentals. Experience the ongoing festival that celebrates San Antonio every day of the year. San Antonio’s rich culture and history naturally leads one to explore the strong spiritual ties the city has to offer. – Eva Aivaliotis, Senior communications assistant at the San Antonio Convention & Visitors Bureau.